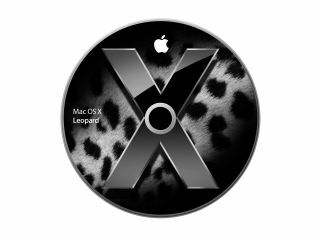 At WWDC 2009 today, Apple announced Snow Leopard - the next major revision of Mac OS X - will arrive in September and only run on Intel Macs. Priced at $29 (or $49 for a 'family pack'), Snow Leopard marks a break from tradition for Apple, since previous revisions of Mac OS X had no upgrade path, costing full-price. This probably relates to Snow Leopard's concentration on efficiency and optimisation rather than new features, but that doesn't mean it offers nothing new. Snow Leopard is mostly about what Apple calls 'core innovation' - delivering core software technologies to streamline and enhance the operating system. Major system apps will now run in 64-bit mode, and new technology Grand Central Dispatch provides built-in support for multi-core right across Leopard. Bertrand Serlet, Apple senior vice president of Software Engineering, noted how Snow Leopard uses more threads when busy, but when the system's idle, they go away (unlike in Leopard), calling this "a big win in responsiveness". Another powerful technology, OpenCL (Open Computing Language) takes advantage of GPU power; unlike OpenGL, which is restricted to graphics and games, C-based OpenCL redirects GPU power for general-purpose computing, offering hardware abstraction, automatic optimisation and numerical accuracy, enabling it to be used for scientific calculations. Apple is making OpenCL an open standard and many companies are participating. Typical users will be most interested in visible changes to applications, though, and while there's no Time Machine-style press darling this time round, Snow Leopard nonetheless provides plenty of refinements. Right from the off, Snow Leopard's streamlined nature should be apparent. Apple claims the install is 45% faster and that you'll recover 6GB of disk space - rather unique during a major software upgrade. Finder and the Dock have small changes throughout. Finder is now a Cocoa application, and a slider enables you to resize icons. Icon previews are now more useful: PDFs can be paged and movies played. Exposé is now built into the Dock - click-hold an app icon and its windows appear. This enables rapid drag-and-drop of files from Finder to specific application windows. Stacks are improved, enabling you to scroll or drill down into folders. Other applications also have useful tweaks. AI in Preview improves text selection, and QuickTime X's UI focuses on content - controls and the menu bar hide unless your cursor is over the movie. A visual timeline enables rudimentary editing and sharing with YouTube, MobileMe and iTunes. It also appears that the QuickTime Pro trimming features are now built into QuickTime as standard - these used to be around £20. Safari 4 is no longer 'beta' and gains out-of-process plug-ins that don't bring down the browser when they crash. For business users, Exchange support (which requires the latest version of Exchange Server 2007) is the biggie, and the WWDC demo showcased seamless integration with Mail, iCal and Address Book. Snow Leopard offers auto-discovery of Exchange servers, automatic population of email, folders and to-dos, and Mail Quick Look previews of Office documents on the Exchange server - even if you've not got Office installed. Furthermore, impressive workflow was demonstrated: you can drag contacts from Address Book to iCal to schedule a meeting over Exchange, and view available meeting times and rooms in iCal. Elsewhere, trackpad recognition for Chinese handwriting, a new Services menu and faster Mail added further excitement for the WWDC crowd, and, along with the price-point, likely ensured the number of Mac OS X users will continue to rapidly grow.